Whatever your insurance need, our brokers can get started on a quote for your customized plan today. If you think you know the plan you need, you can start the application process online to get a quote. Choose from this list of our standard plans. MHG Insurance Brokers is a leading insurance brokerage providing insurance advice and solutions for Marine Crew, businesses and groups and individuals around the world. Whether you are looking for a competitive Yacht Crew insurance plan, Cruise Ship Crew insurance, Property and Casualty insurance plans or insurance coverage for you, your family or group, we can help! In order for us to determine which plan is right for your group, please contact our Insurance Specialists for a customized solution. Every business is as unique as its employees. By getting to know you, your business, and your risks, our Insurance Specialists can help you secure the appropriate coverage for you and your organization. Contact a broker today for customized solutions and quotes. With our ability to help individuals, groups, and businesses find a way to insure just about any need, we've had the unique pleasure of insuring some very interesting things! 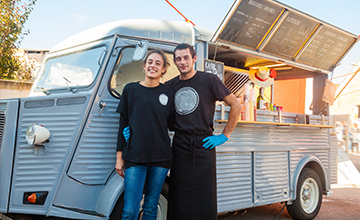 When we first started providing insurance coverage for food trucks, we saw it as unusual, but the food truck industry continues to grow and flourish. While the cost to set up a food truck is significantly less than a brick and mortar restaurant, the risks in some ways are higher. Insurance doesn't sound like the best part of starting a food truck business, but it doesn't have to be painful. Our Insurance Specialists understand the importance of protecting your vehicle since you depend on it in order to make a living. We can set you up with a plan that covers you, your food truck and your growing business while also helping you keep an eye on your budget. MHG Insurance Brokers have been working with cruise ships for more than twenty years. We design plans for the crew of some of the world's largest cruise ships. We also design plans for the performers that work onboard cruise ships. 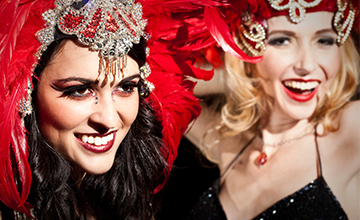 From the high-flying trapeze acts to the contortionists, and everyone in between, we have developed insurance plans to cover them all. When a performer has an accident as small as breaking a little toe, it could mean putting a career on hold. But what many people don't know is that performers need specific insurance coverage that will protect them while the ship is docked and while it's out at sea. Our Insurance Specialists are amongst the few, and by far the most experienced, that offer coverage for these special circumstances. After all, the show must go on! At MHG Insurance Brokers, we are proud that most of our clients have been with us for many years. We understand there are choices when it comes to insurance so we work hard to provide a better customer experience than our competition. We know choosing insurance isn't always the most interesting part of running a business, growing a family, or taking a trip, but we will make it easier and we will make sure that it covers your needs perfectly, with no more and no less coverage than you need. So, whether you hire new staff and expand your business, travel to meet a client in Kuala Lumpur, welcome home a new baby, decide to hike Mount Kilimanjaro, or all the above, you can feel safer knowing that wherever you go and whatever you do, MHG Insurance Brokers will always be here for you. directly to an Insurance Specialist? If you need more guidance or have questions, please call us. Our Insurance Specialists can make the insurance buying process simple and easy.